This is the chair that launched bentwood design onto the world market. Commonly known in its day as the “Consumer Chair” the Vienna was designed for practicality in both manufacture and application. 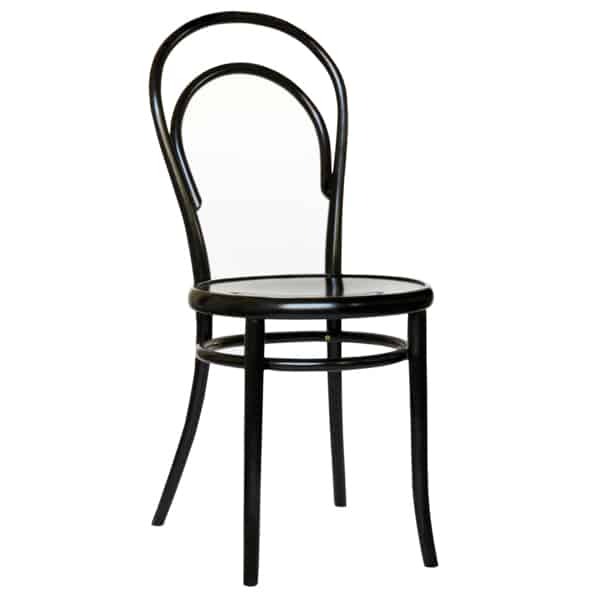 Embraced by European restaurant culture the chair quickly became one of the best-selling bentwood models in Thonet history. * Please note we can arrange custom finishes if you are after another colour, stain or tint. * An additional delivery fee applies to all Thonet orders and can vary depending on the quantity ordered. * Thonet chairs are made in the original European factory and therefore orders are not always available for immediate delivery. Please contact us in-store to confirm the lead time before placing your order. Feel free to contact us with all of your questions large or small.